potent 20mg levitra pills If you’ve read more than a few posts here in the past nearly 10 years, then you know all about Barbara Fenzl and Les Gourmettes Cooking School. 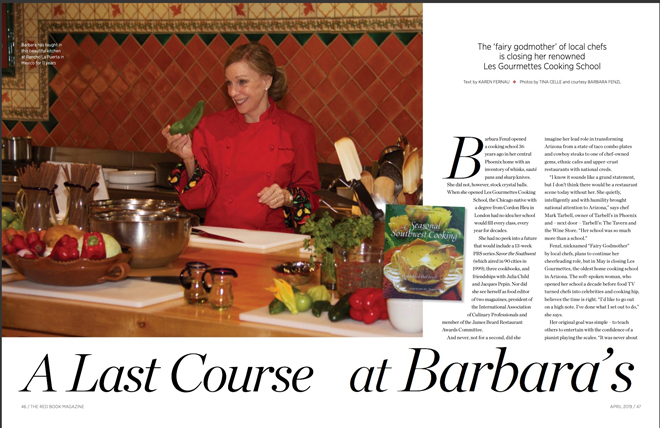 Barb started the school 36 years ago and has been selling out classes ever since. I came on board 30 years ago, but it doesn’t seem that long ago at all. Barb has decided to hang up her apron and close the school. I understand, when you know it’s time, then it’s time. That is exactly how I felt when I closed Les Petites Gourmettes Children’s Cooking School after 18 years. Below is the last paragraph from the feature. 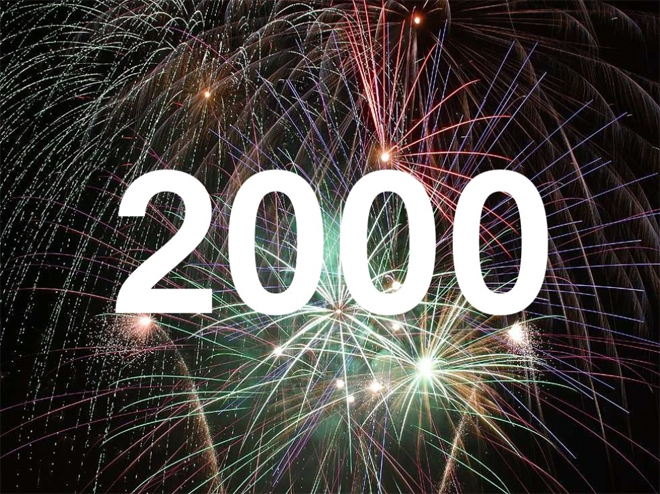 I’ll bet you didn’t even know there was such a thing as 2,000th Post Day but there is in the world of LesPetitesGourmettes.com! http://maientertainmentlaw.com/?search=prehospital-use-of-lasix This is my 2,000th post! That’s quite an accomplishment if I do say so myself. To celebrate this milestone, let’s have a contest and giveaway. Since I don’t have $2,000 laying around to give away, how about I give away 2,000 pennies? Wait, that’s only $20, that doesn’t seem like much of a treat. 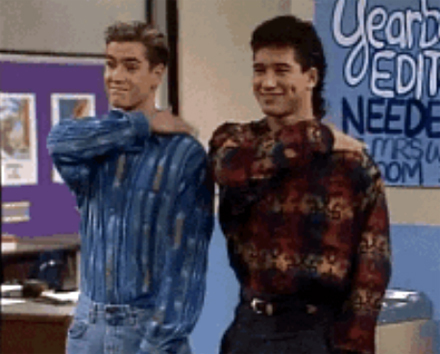 OK, let’s make it 2,000 dimes or $200. That’s a nice prize, right?!? cialis generico 50 euro 10 pillole *I should also mention that leaving comments on Facebook, where these posts show up automatically, does not count. The comments must be left here on LesPetitesGourmettes.com. It’s not that I don’t appreciate the comments there, but rules are rules, y’all! prednisone 29 mg The second way you may enter to win: Get on Instagram and if you haven’t already followed my Harmony_Boards page, do that! 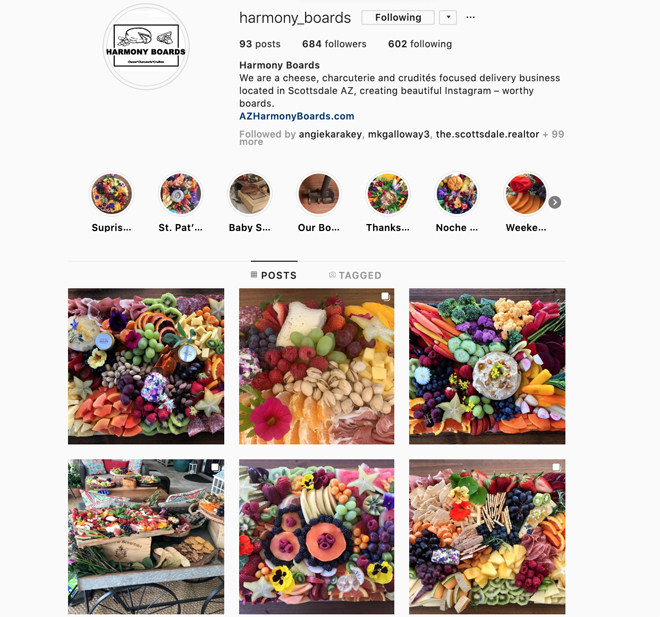 Next, get a minimum of five (5) of your Instagram friends and family to follow the Harmony_Boards page. Here’s the tricky part of this way to win, I will need to know that you sent them there to follow the page. So they will need to send me a DM or leave a comment on one of the photos letting me know that you suggested they follow Harmony_Boards. I understand that this is more complicated than leaving a comment on a post, but it is another way to win, a way to have two chances and maybe win BOTH of the $100 prizes. That’s pretty cool! 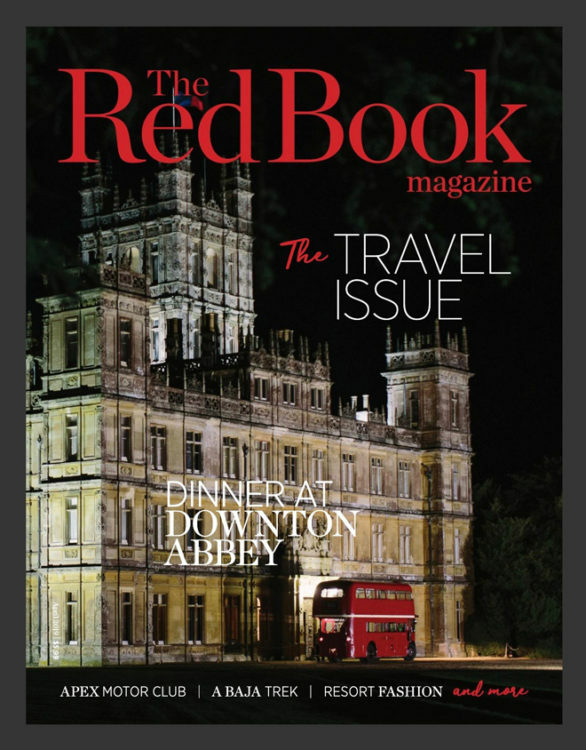 The winner(s) will be drawn, notified and announced on go site Wednesday, May 3, 2019. 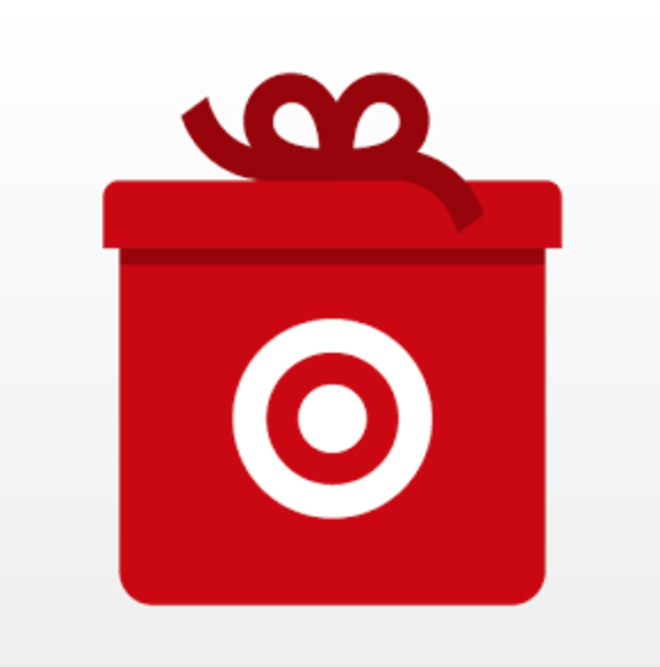 There are no restrictions on this contest, any and everyone may play and have a chance to win. Good Luck! xoxo This contest is not endorsed, sponsored or supported by either Trader Joe’s or Target. 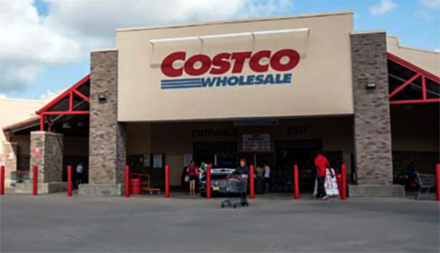 Instead of a recipe, how about a little story about my experience at Costco today? Yeah, it happens all the time, you don’t think of that perfect response or comeback until the situation is over and you’re away from it. Happens to me all the time too. You know why? Because we don’t have TV comedy or drama writers following us around. It’s hard to think of the perfect thing to say in that second when you’re caught off guard. 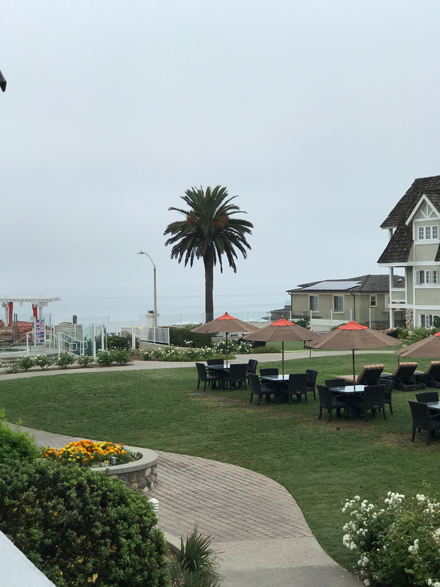 I’m in Carlsbad, CA at my timeshare this week with Marissa and my cousin, Michelle Lorts. Michelle and I drove over on Saturday and picked up Marissa, who flew in from Austin, TX. This is the view from our balcony. Not too shabby. We’ve had a wonderful, relaxing and coooool week thus far. Not missing the 110+ degree AZ days one single bit! 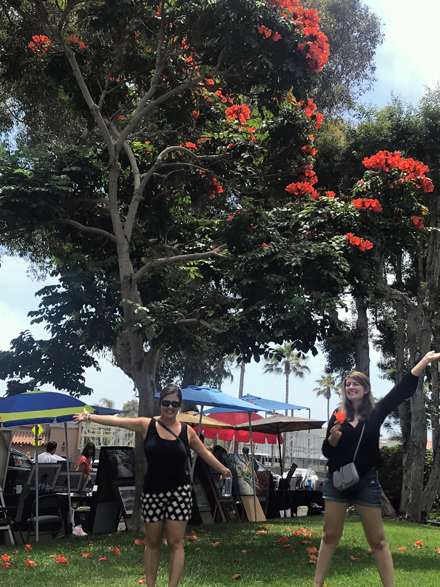 Here are Michelle and Marissa out in the front of the resort under an African tulip tree. Isn’t it gorgeous? But the real news I have to share is the amazing deal I got on wine at Von’s (Safeway in AZ) grocery store. We went in to buy some orange juice and a couple of bottles of Michelle’s favorite Sauvignon Blanc, Brancott Estate. When we strolled down the wine aisles, we immediately noticed that all the wine was on sale with yellow tags on every shelf. The Brancott was regularly $13.99 a bottle and was on sale for $9.99. Sweet! Michelle grabbed 2 bottles. Then I looked a little farther down the aisle and saw a couple of red tags among all the yellow. 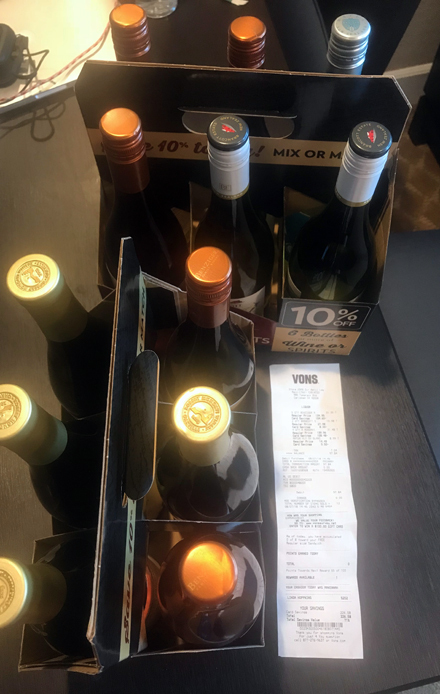 Upon further inspection, I saw that the Robert Mondavi Oakville Fumé Blanc which was regularly $34.99 a bottle was on clearance for ….. wait for it…. 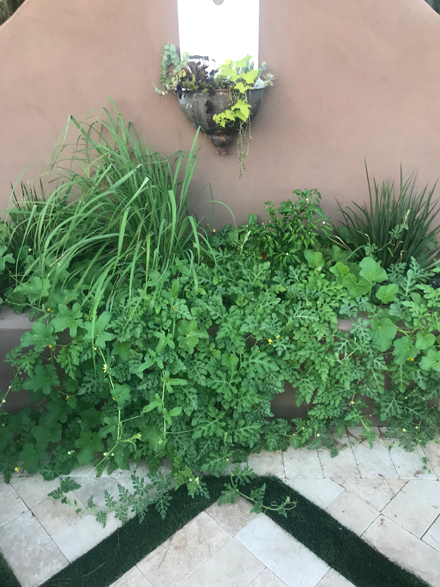 Do you remember a few posts back when I shared my excitement over finally being able to grow something, besides herbs, in a garden? 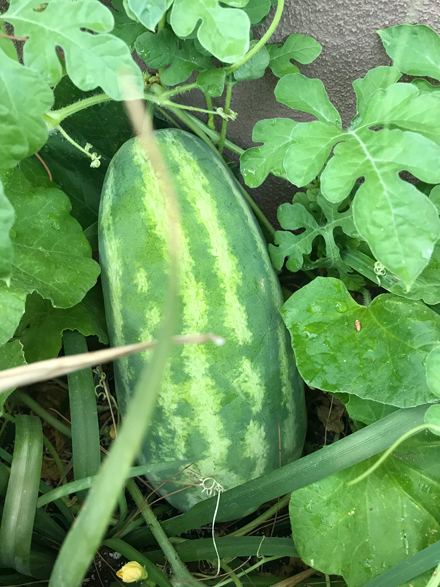 Well, are you ready to see the surprise harvest? The surprise is that I forgot what I’d planted. 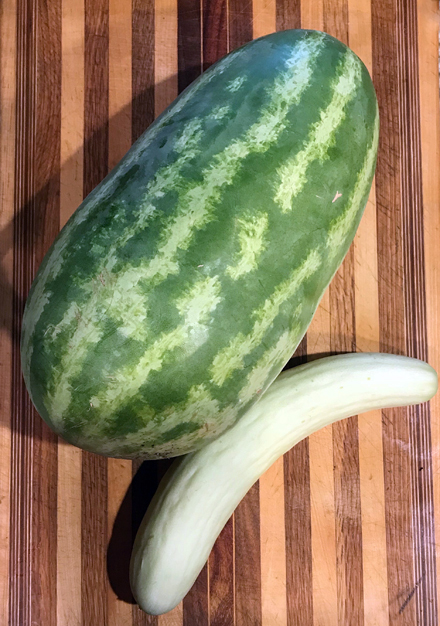 I thought it was zucchini and watermelon but turns out it was watermelon, cantaloupe and English cucumber. 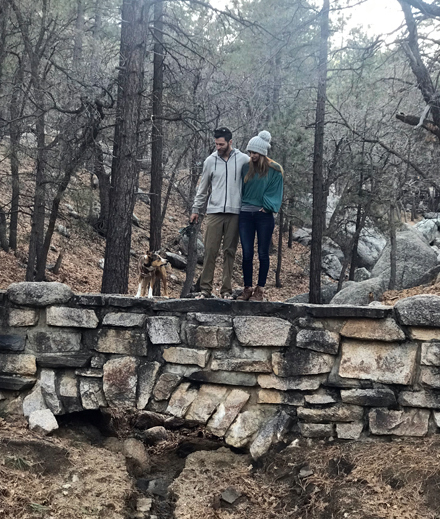 This weekend I had another wonderful surprise! 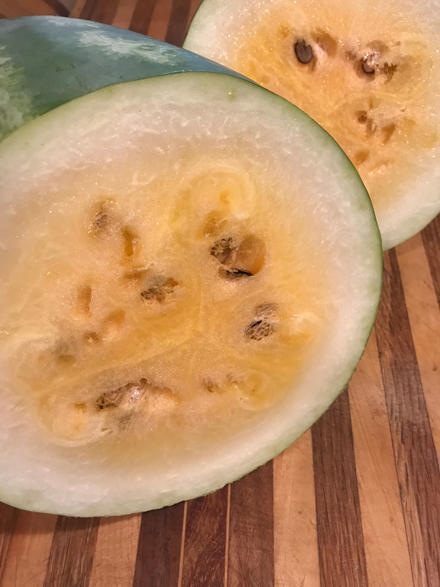 The watermelon was not your run-of-the-mill red fleshed watermelon, it is yellow! I had completely forgotten I had planted the super cool yellow instead of the everyday red. I was overjoyed but honestly a little disappointed too. 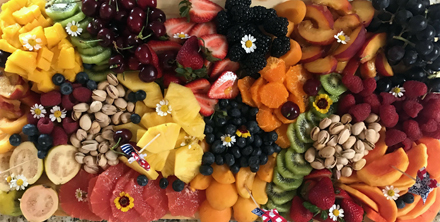 Disappointed because I’d looked for yellow watermelon in the market when I was creating the Harmony Board for Lisa’s birthday last week but I could not find any. And there it was – in my own backyard the entire time. Doggone it! 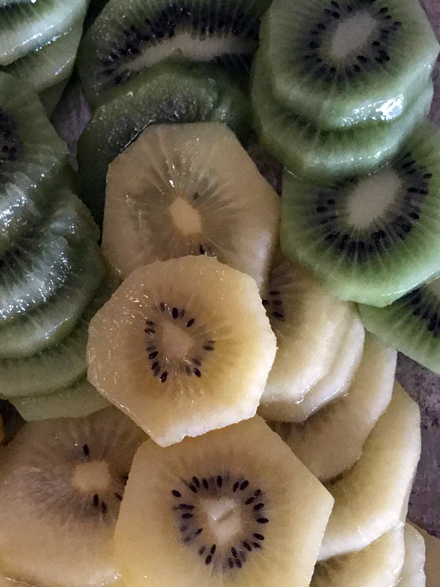 When shopping for the board, I may not have found the melon I wanted, but I did find yellow kiwi at Costco. Did you even know there was such a thing? I discovered it a couple of summers ago, but this was the first time I saw it at Costco. 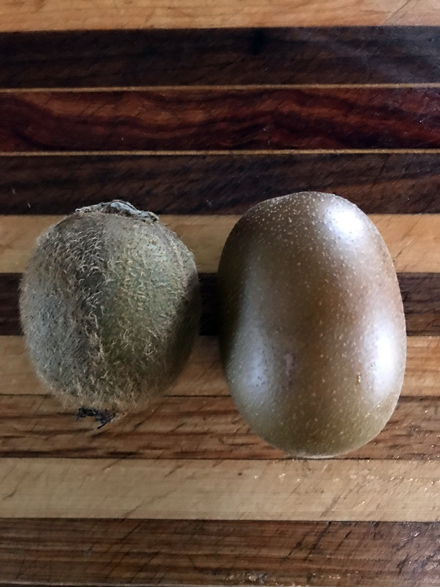 The green kiwi is the smaller fuzzy one on the left. The yellow is slightly larger and has no fuzz. 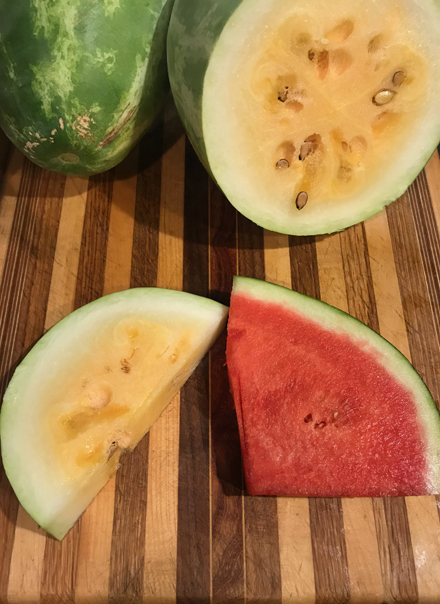 Just as with the watermelon, they taste much like their everyday cousins. 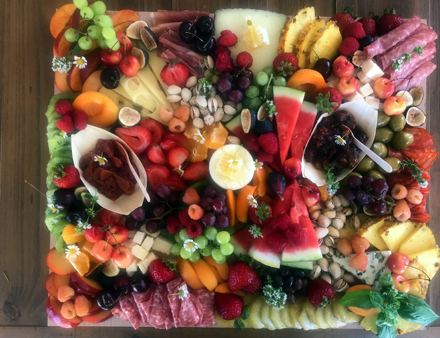 First up, I want to share with you the go site Harmony Board that I created for the birthday dinner celebration for my dear friend, Lisa, on Tuesday night. I’m spending my summer working on a business plan, website, social media pages, logo, etc. for http://maientertainmentlaw.com/?search=generic-viagra-next-day-delivery Harmony Boards. Kim and I are going to her family home in Canada later this month to escape the heat and to brainstorm and plan the launch party for late summer or early fall. Of course, I’ll keep you posted once we have the date locked down. Secondly, while I was going through the photos on my computer looking for some pictures I took back in April, which I needed for my last post, I came across something I’d meant to share, but then forgot all about. Do you think July 26 is too late to finally share it? Hopefully not, because here we go. On the early evening of Wednesday, April 4, 2018 my friends and former neighbors, Mike and Ronnie Jaap, stopped by to see my backyard remodel. They were considering using the same company I was using and wanted to check out the progress over here. Afterwards, we had plans to go out for dinner. Earlier that day, in the late afternoon, a load of granite had been dropped off in the road on the south side of my house. The pile was in the street on the other side of my double gates. The pile had orange cones on all sides. This is common practice around construction projects and is allowed. 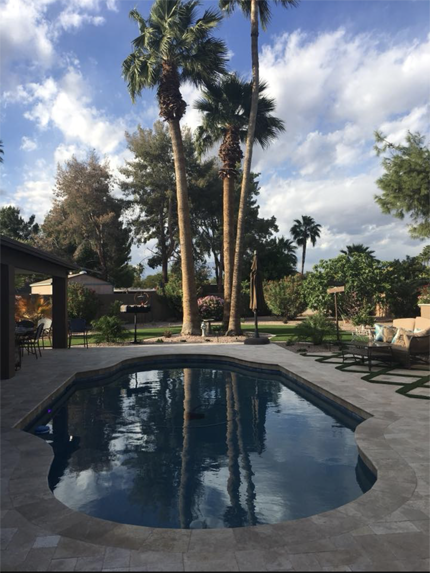 It was about 6:00 pm as Mike, Ronnie and I were walking on the far north side of the backyard, talking about how happy I was with Garden Plus Landscape & Pools. Suddenly, we heard a loud crash and looked toward that double gate on the other side of the yard to see a huge plume of dust and dirt explode over the gate. 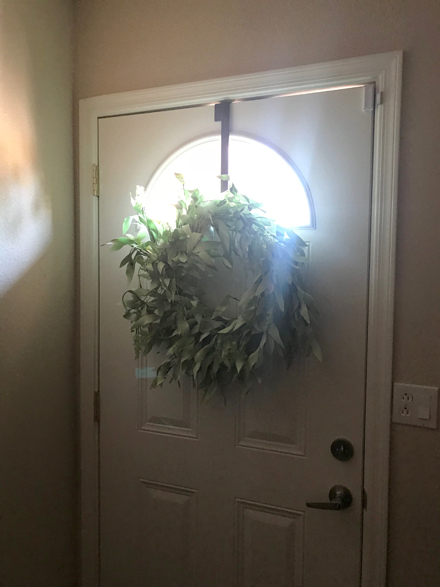 As I type this on the afternoon of Monday, June 23rd, it is 115 degrees outside and I am hunkered down in my house. It may be more appropriate to say that I’m hunkered down in my cave because that is what I have turned my home into. 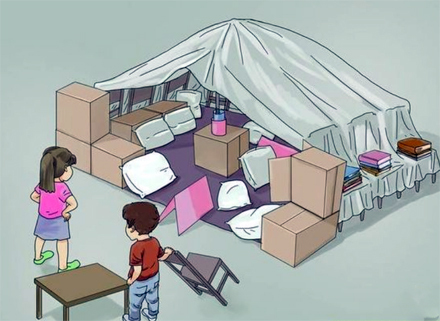 And not for some fun reason – like having little kids over and building forts and caves out of sheets and blankets. No, I live in a cave now because of my most recent electric bill. I only regret that I didn’t create my cave sooner! The bill arrived while I was in Texas. When I got home, I tossed all the bills on my desk without opening them. I went to pay them this morning and was horrified to see that my electric bill was $150 higher than it was last month. What the what?!? I’m already exceedingly conscientious about turning off lights and keeping the blinds and curtains drawn in the heat of the day. I don’t run my large appliances until late night or early morning and I resist the temptation of setting the thermostats too low. In fact, when I go to bed, the A/C on the opposite side of the house is set to 86 degrees, which is quite warm when it often doesn’t get out of the 90’s outside at night. 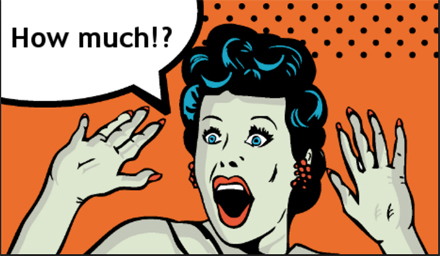 So a $150 increase seemed insane! Granted there were 3 more days in the billing cycle this time. 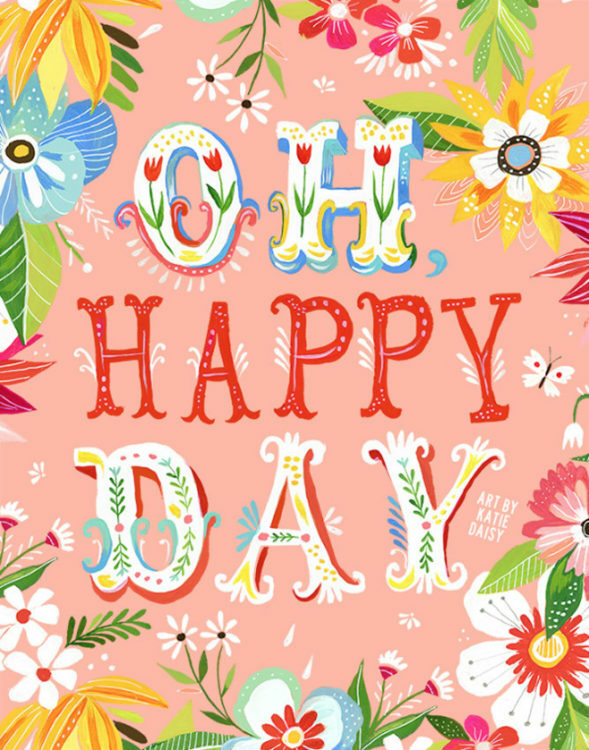 Last month was 30 days for May 8 – June 7. And this bill was 33 days for June 7 – July 10. But $50 more per day does not add up. 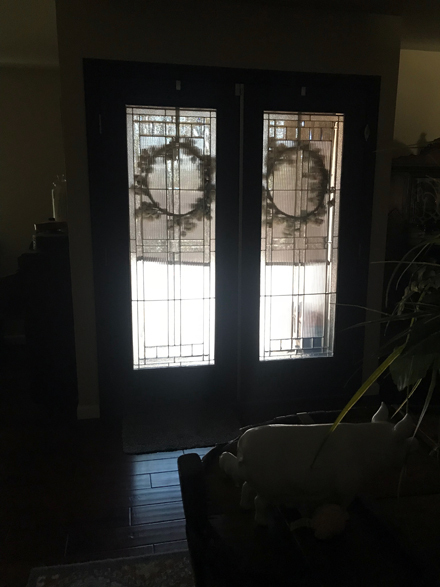 The front of my house faces west, which is not ideal, especially since the double front doors have glass fronts. 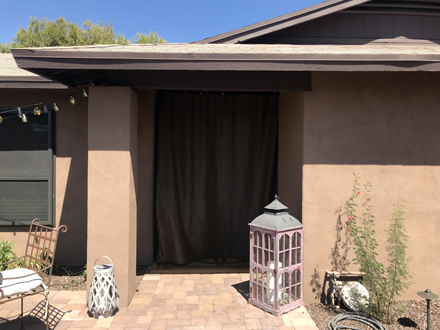 So in anticipation of the summer heat that would stream through those doors, I bought a shade panel at Costco back in April and hung it outside to block the sun from coming in through those doors. No doubt that has helped immensely. But obviously not nearly as much as I’d hoped. Here are the steps I’ve taken to see if I can get that bill down into the almost bearable range. The first thing I did was cut out a large piece of cardboard (thank you Amazon!) 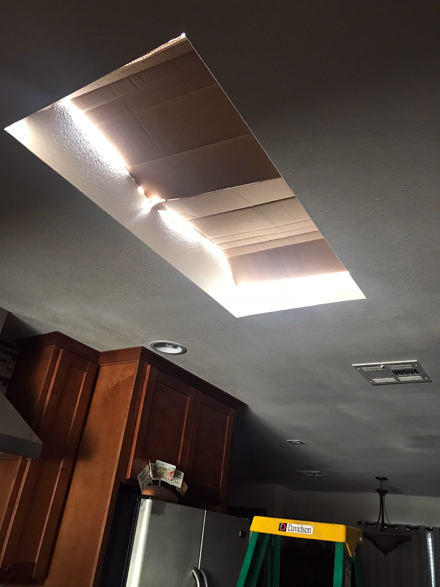 and blocked the light coming in through the skylight in the kitchen. I actually did that the week before I left for Texas. Today, I closed the vents and doors to one of the bedrooms, the office and one bathroom. Less square footage to cool is the hopeful thinking there. 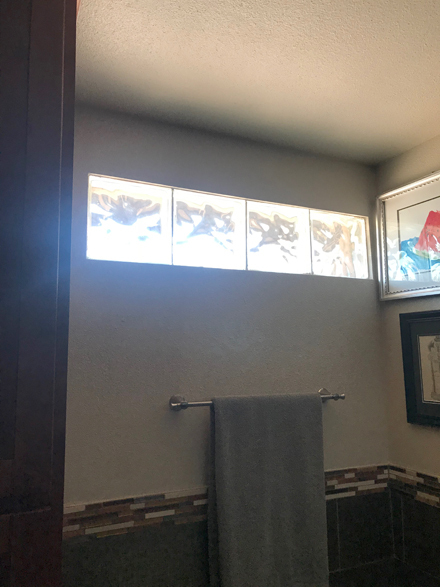 Next, I put more of the cardboard over the glass blocks in the master bath. That window faces south, but as you can see, it lets in plenty of light, which translates to plenty of heat. It may not look attractive, but I don’t give a hoot about aesthetics right now. 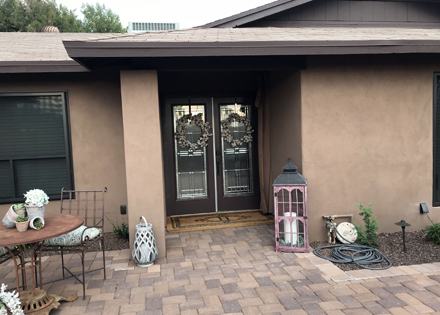 This house has another front door on the west side, a mother-in-law set-up of sorts. And that door also has a darn window in it. My real work for Chanté and Cody’s wedding weekend, began on Friday morning. Extremely. Early. On Friday morning! 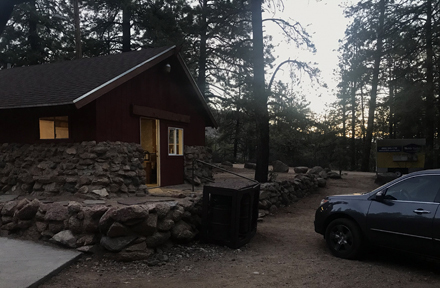 Sleeping in a “camping cabin” was both a blessing and a curse. A blessing because it gave me more hours in the day to cook and get all I needed to get done finished. A curse because I was bright-eyed but not quite bushy-tailed at 4:45 AM on Friday morning and 3:45 AM on Saturday morning. On those mornings, at those times, I awoke needing to use the bathroom. At home when that happens, I stumble a few steps, in the dark to the toilet, with eyes closed, do my business, stumble back to bed and immediately fall back to sleep. When the bathroom is in the forest, across a little road, up a slight incline and it is a public bathroom … well, the eyes closed, barefoot, nearly naked, stumbling routine does not fly. Shoes must be put on, more clothing is needed and the flashlight on the phone gets activated. 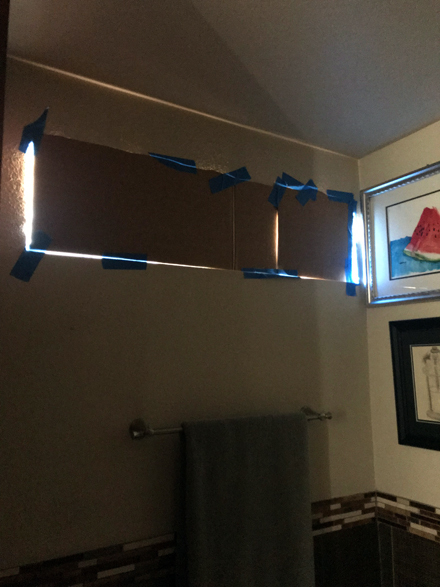 And on that first morning, when I turned on bathroom light, what I thought was a bat flew in through the slightly cracked window and into the stall I was in. It turned out to not be a bat, but an extremely large bat-size moth. So basically, by the time you get back to your little cabin after that experience, you are fully awake. Time to start the day! In the dark. Friday morning, I got dressed, drove up the windy road to Rec. 2 and started cooking. 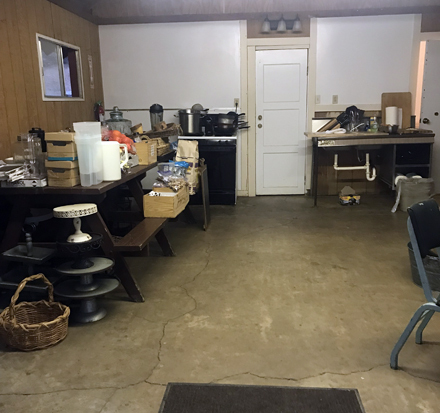 Since it was still dark and there were not only the cabins that our people had rented out, but also campgrounds nearby, I locked myself in the kitchen. Once the sun came up, I opened the windows and the door and kept working. The photo above was taken from the doorway into the kitchen. Soon after I opened that door, I was standing at the sink, with my back to said door, when I heard a little rustling behind me. 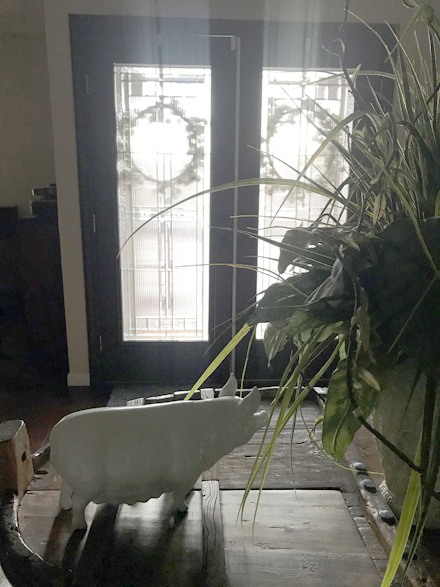 I quickly turned around to see a deer standing in the kitchen. He was fully inside, with his hind feet on that door mat. He had walked up the stairs of the stone patio and came inside without an ounce of fear. 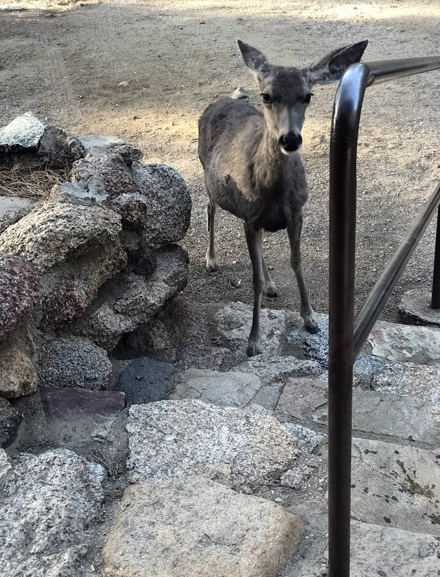 When I turned, he slowly stepped back, out the door and onto the patio. Obviously, it was breakfast time. I grabbed my phone and pulled out a bag of carrots. 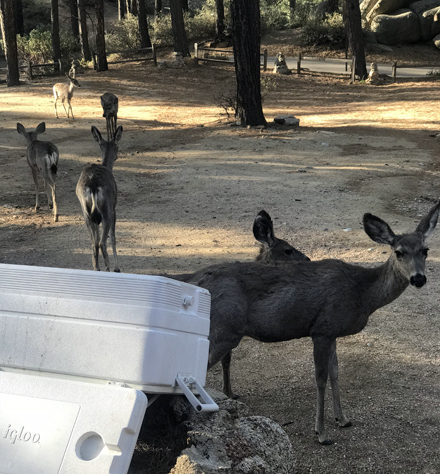 It wasn’t until then that I noticed that he’d brought his herd of 6 more sweet deer along for the morning meal. I fed them all, then they were on their merry way. The next morning, they got corn. I’m aware that they are used to this treatment, but it just made my day. 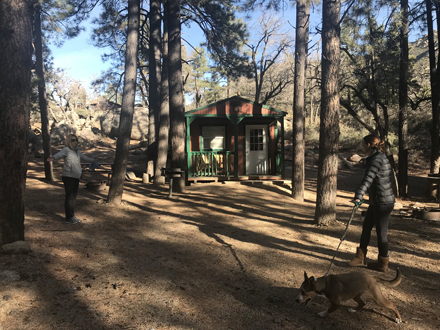 Yesterday, I gave you a lay of the land for the wedding weekend in Hualapai Mountain Park. 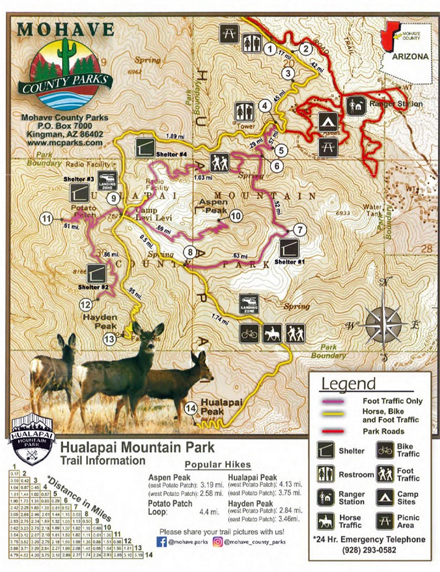 I failed to mention that this all took place over Mother’s Day weekend and that the Hualapai Mountains are just outside Kingman, AZ., in the northwest corner of our beautiful state. And see those deer in the corner of the map above? 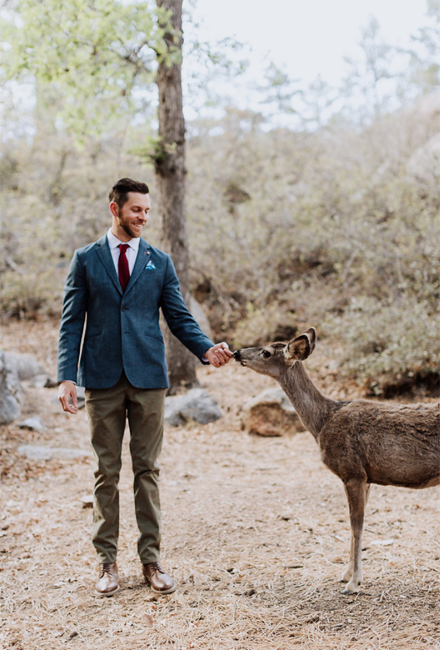 Yeah, they are there because the deer are so tame in the park, that they eat out of your hand, walk into kitchens and pose in wedding photos. Yes, that is the handsome groom, Cody, trying to have wedding photos taken. 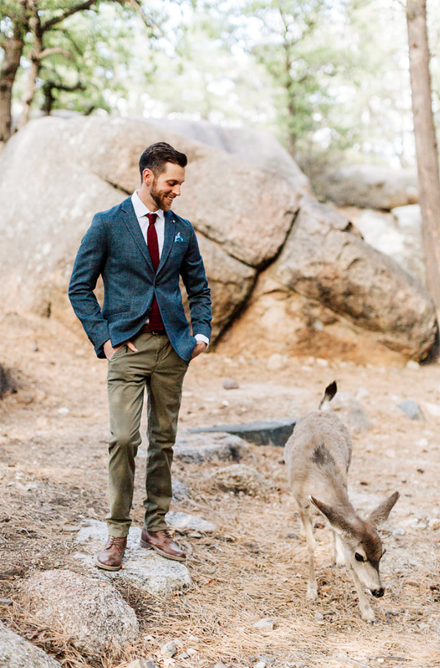 Obviously, the deer didn’t want to be upstaged. 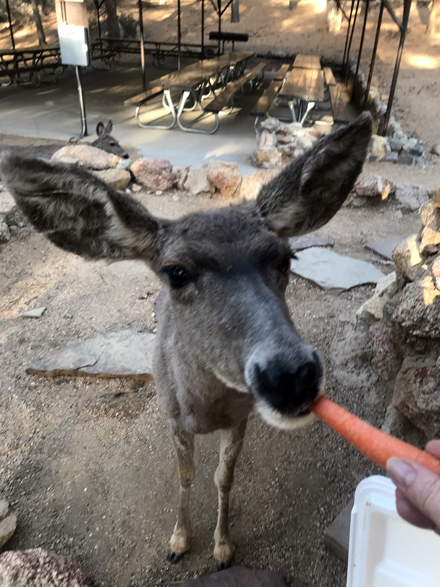 I too, had a fun encounter with a herd of deer… we’ll get to that tomorrow. 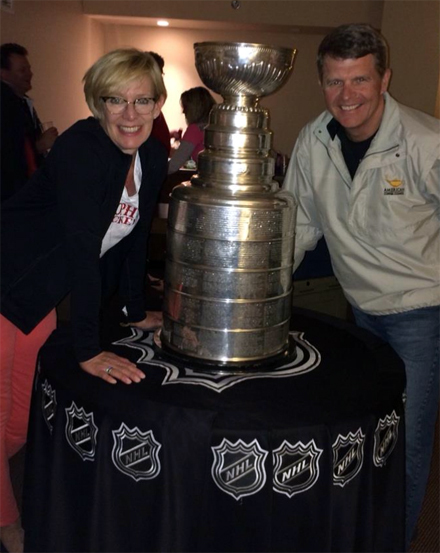 First, I want to tell you about the brilliant and life-saving idea my friend and mother of the groom, Kim Howard, had. 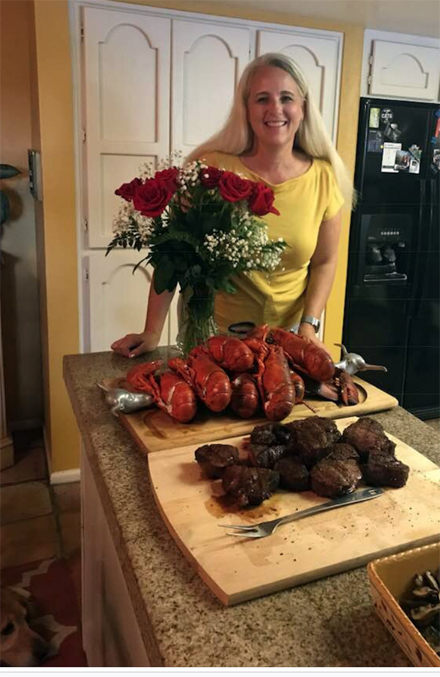 A few weeks before the wedding, Kim realized that we had much more food to bring up than we could ever fit into coolers. 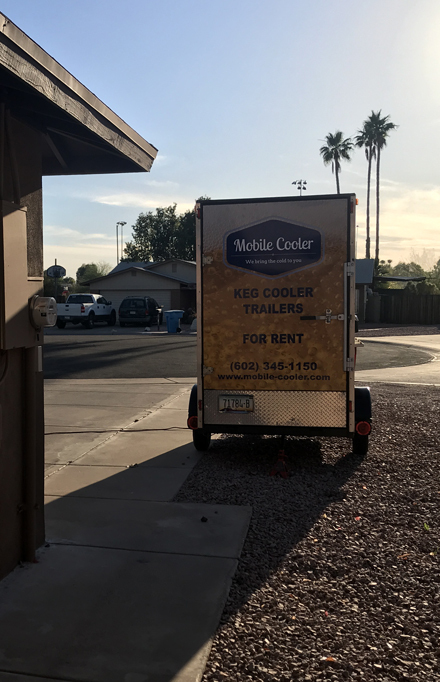 She knew there had to be refrigerated trailers out there that we could rent and she went about searching for one that would fit our needs and budget. 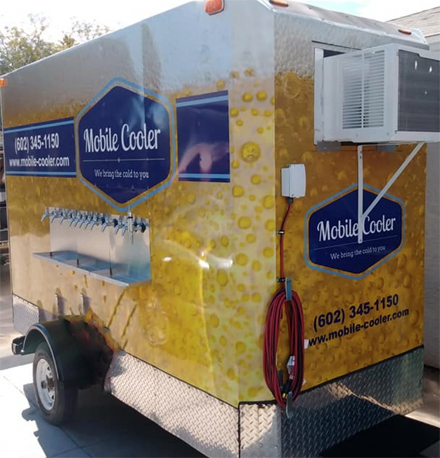 She found the perfect one at Mobile Cooler. I honestly don’t know what we would have done without this thing! As you can see, it can be used for beer kegs, but we just used it as a mobile refrigerator. The refrigerator in the Rec. 2 kitchen would not have held a tenth of the food we brought up. 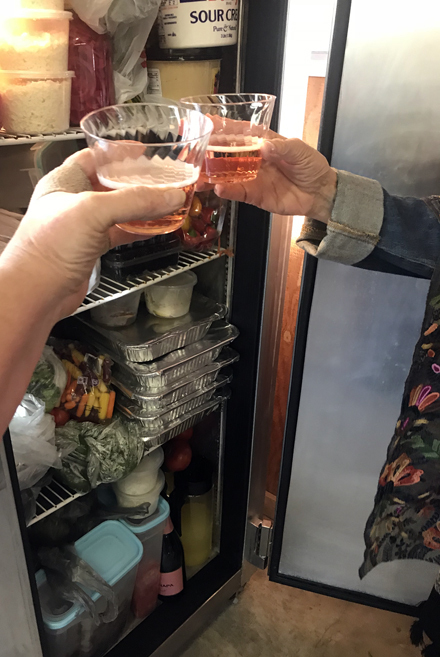 In fact, this photo shows us toasting after my first full day of cooking and as you can see, items are nearly falling out… this is nothing compared to what was still in the refrigerated trailer at this point. Here is a photo I sent to Kim on the Wednesday before we left. 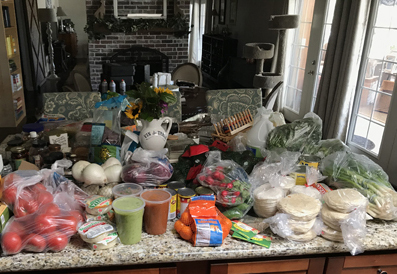 It is my kitchen island after unpacking the goods I bought at Food City. 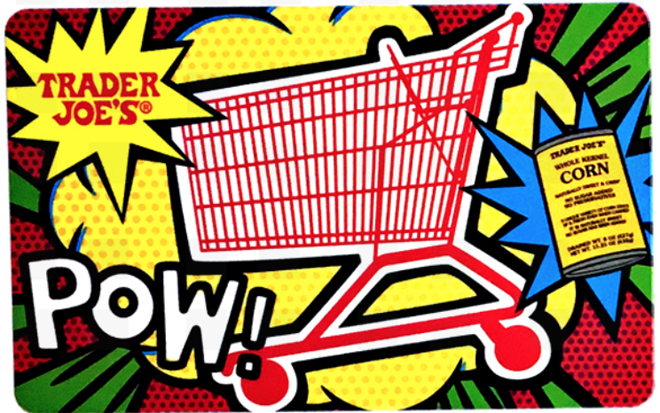 I also shopped at Costco, Safeway, Fry’s, Trader Joe’s, A.J’s and Smart & Final. I didn’t begin shopping for perishables until after the trailer arrived, because I didn’t have room in my two refrigerators for it all. Kim really did save the day. Actually, she saved the weekend! The trailer was delivered to my driveway on Tuesday evening. I plugged it in and it was chilled to the perfect temperature in less than an hour. I began filling it up on Wednesday morning and we had it filled and ready to hitch up to Kim and Paul’s mid-size SUV on Thursday morning. Cody enlisted the help of one of his employees, Eloy, to help get everything up to the site, unload it all and then reload and bring it all home on Sunday. Eloy was the first to arrive at my house on Thursday morning. He had his truck and an open flat-bed trailer. 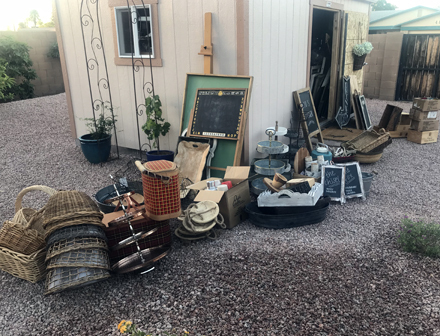 He filled both to the brim with the majority of my patio furniture, 20 folding chairs, two 60-inch round, two 6-foot folding tables, an 8-foot folding table, card tables, etc. along with quite a bit of goodies from Miscellany Shed. The photo above shows some of the decor/serving items that went back into the shed on the Monday after the wedding. 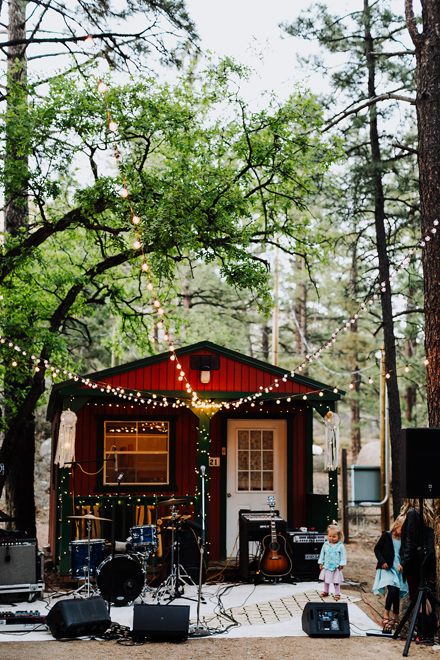 Hualapai Mountain Park, in the beautiful Hualapai Mountains, was the setting for Chanté and Cody’s wedding. 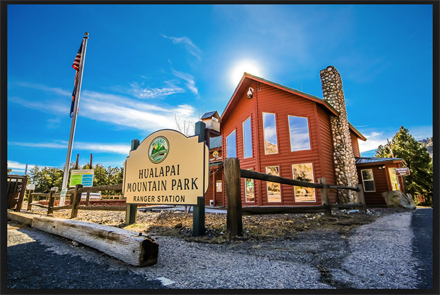 Hualapai means “People of the tall Pines” in the Hualapai language and the park is part of the Mohave County Parks Department. 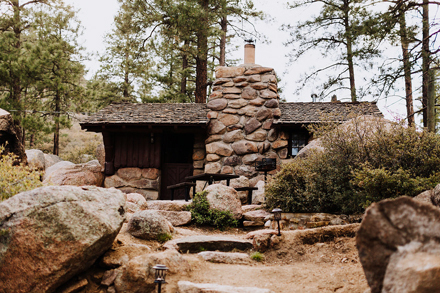 There are 24 rustic cabins that sleep from two to twelve. Nineteen of those are equipped with beds, tables, gas ranges, refrigerators, heaters, electricity, bathrooms and showers, hot and cold water and most have fireplaces or wood stoves. 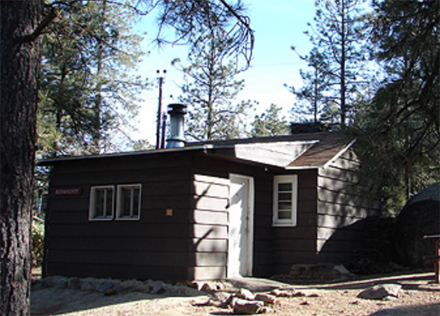 Each cabin also has a barbecue grill and picnic table outside. 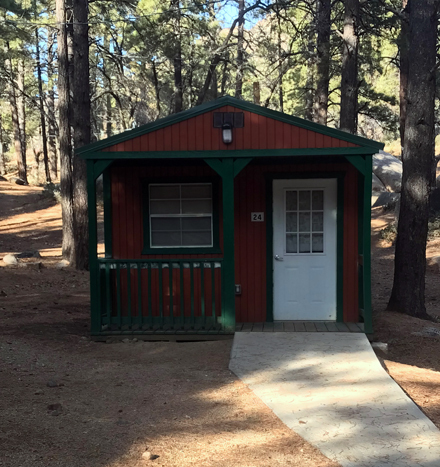 The remaining five cabins are called “camping cabins” and have a double-size bunk bed, table, microwave oven and an under-counter refrigerator. The restrooms/showers for the camping cabins are located just across a small road.